Greenpoint IT offer a no fix no fee policy. Contact us now for a free diagnosis. Are you looking for an iPhone repair in the Cardiff area? Or perhaps you’re experiencing smartphone problems in Bridgend or Newport? We know your mobile phone is important to you and when it isn’t working properly, it can leave you feeling a little lost. Greenpoint IT will make sure you’re not left without your phone for long. 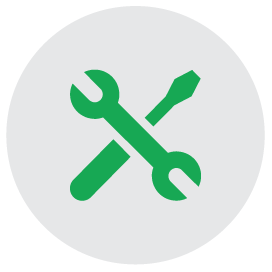 Our highly skilled staff will quickly diagnose the problem and get it working again so you can get on with the things that matter to you. We can fix almost any problem and if we can’t mend it, for whatever reason, it won’t cost you a thing. 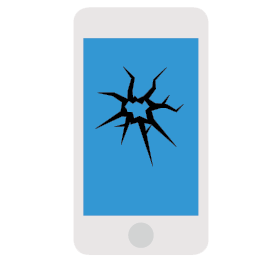 Based in the Cardiff area, we repair all makes and models of mobile phones and smartphones, including iPhone, Android and Windows Phone and Blackberry. As we keep a large number of spare parts in stock, we can usually complete your Android or iPhone repair quickly without having to wait for parts to arrive from elsewhere. Our prices are extremely competitive and your mobile phone repair is covered by a 12-month warranty for your peace of mind. 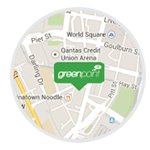 If you’re having problems with your phone, get in touch with Greenpoint IT today and we’ll see if we can help. You can bring your mobile phone into our premises in Barry, South Wales or you can arrange for us to collect it from your home or workplace. If you live near our repair centre, we will collect your phone for free. But don’t worry if you live elsewhere in the UK as we can arrange for a courier to pick up your smartphone for a small charge. *Free collection within the local area. Terms and Conditions apply. Unlocking your mobile phone handset means you can use it with any SIM card, no matter what the network. Greenpoint IT can unlock your handset, giving you more choice when it comes to your mobile phone service. We can unlock most makes and models of mobile phones including iPhone, HTC, Nokia, Blackberry, Samsung, Sony Ericcson, Motorola and LG Mobile. Our prices are extremely competitive and unlocking your phone could save you a substantial amount of money. Simply call in to our premises in Barry, South Wales or arrange for us to collect your phone. If you live near Barry, we can pick up your item for free or we can collect from any address in the UK using a courier service for a small additional charge. Please note that unlocking your phone is completely different to unblocking, which is illegal in the UK. Phones are blocked by mobile phone operators when handsets have been lost or reported as stolen. Greenpoint IT does not offer an unblocking service. To find out more about unlocking your phone or to book an appointment, call us today. If you like to stand out from the crowd, why not make sure your mobile phone is as unique as you are? Greenpoint IT offers a mobile phone customisation service so you can personalise your device so it refects your individual taste, personality and interests. We can customise any make or model of mobile phone, including iPhone, HTC, Nokia, Blackberry, Samsung, Sony Ericcson, Motorola and LG Mobile. From adding colour to your iPhone to giving your smartphone a bit of extra sparkle, we can help. Just tell us what you’re looking for and we’ll see what we can do to help. We will do everything we can to protect your data and we will take a backup of all your files before we carry out any major repairs. We also advise all our customers to back up their own data before sending their phone in to be mended. We are confident in the quality of the work we do so we are happy to offer a 12-month warranty on our smartphone and iPhone repairs. The warranty covers issues with any parts we have fitted but it does not cover physical damage or any other faults you may experience with your device. We accept cash, card payments and bank transfers. You can also pay for your repair using a cheque and PayPal but we ask customers to wait until we have received the money before they collect their item. 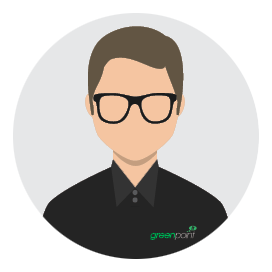 Businesses and schools can also set up their own account with Greenpoint IT to pay for their repairs. Greenpoint IT has been repairing computers, phones, games consoles and gadgets since 2007. However, our technicians have more than 10 years’ experience in carrying out repairs. Will you collect my mobile phone? Yes, if you are based in the Cardiff and Vale of Glamorgan area, we will arrange for your item to be collected from you and delivered back after the repair for FREE. If you live in another area, we use a courier service to collect and deliver equipment and there will a modest charge. Please get in touch with us to check whether your address is eligible for our free collection service. Can I bring my mobile phone to you? Of course, our customers are welcome to bring their mobile phones or other items to our base in Barry, South Wales. We are open from 9.30am to 5.30pm on weekdays and 9.30am to 3pm on Saturdays. Will I still have to pay if you can’t fix my phone? No, at Greenpoint IT we operate a No Fix, No Fee policy. If we can’t mend your mobile phone, we won’t charge you a penny. We will also make sure you know exactly how much the repair will cost before we start. For customers who bring their phone to our repair centre in Barry, near Cardiff, we can complete many simple repairs within one hour. The majority of problems can be solved within a day although some issues will take longer. We will let you know the timescale for your repair when you book. Yes, we are fully insured just in case the unexpected happens. Visit us in store : 18 Holton Road, Barry, Vale Of Glamorgan,CF63 4HD,01446 728225 Opening Hours:Monday-Friday 9.30-5.30pm Saturday 9.30-3pm. Free collection Service *within the local area. Terms and Conditions apply. We will call or email with an available collection date/time. 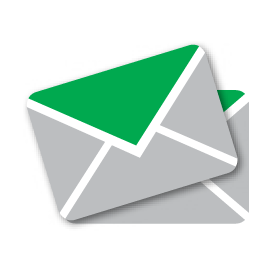 Post your device – We will email you with a quote for courier collection or post your device into us. We recommend sending your items with additional insurance, please also include a note.